Fans of Sunny Leone, who had enjoyed the first season of ‘Karenjit Kaur: The Untold Story Of Sunny Leone’ by director Aditya Datt, are in for some great news. We have learned that the second season of the show will premiere on Zee5 on September 18. 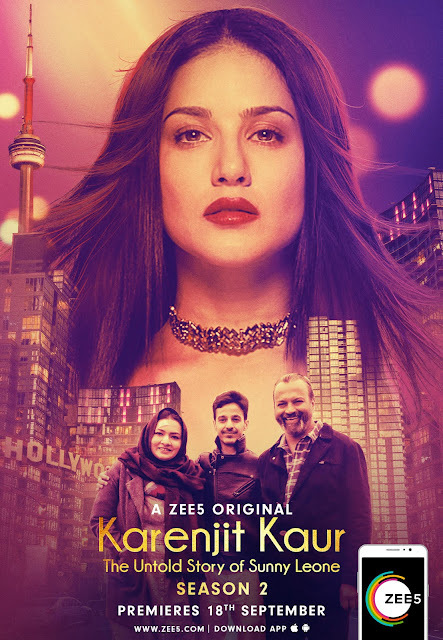 The poster of the second season of the web series was also revealed today, which features Sunny Leone and the actors who play her parents and brother. Directed by Aditya Datt, who had helmed hit thriller ‘Table No. 21’ starring Paresh Rawal, ‘Karenjit Kaur: The Untold Story Of Sunny Leone’ traces her journey from a ‘girl-next-door’ to a Penthouse Pet to a Bollywood celebrity. What is unique about the series is that it stars Sunny Leone as herself, which is a first when it comes to biopics.